A project by Dutchess & the Queen. 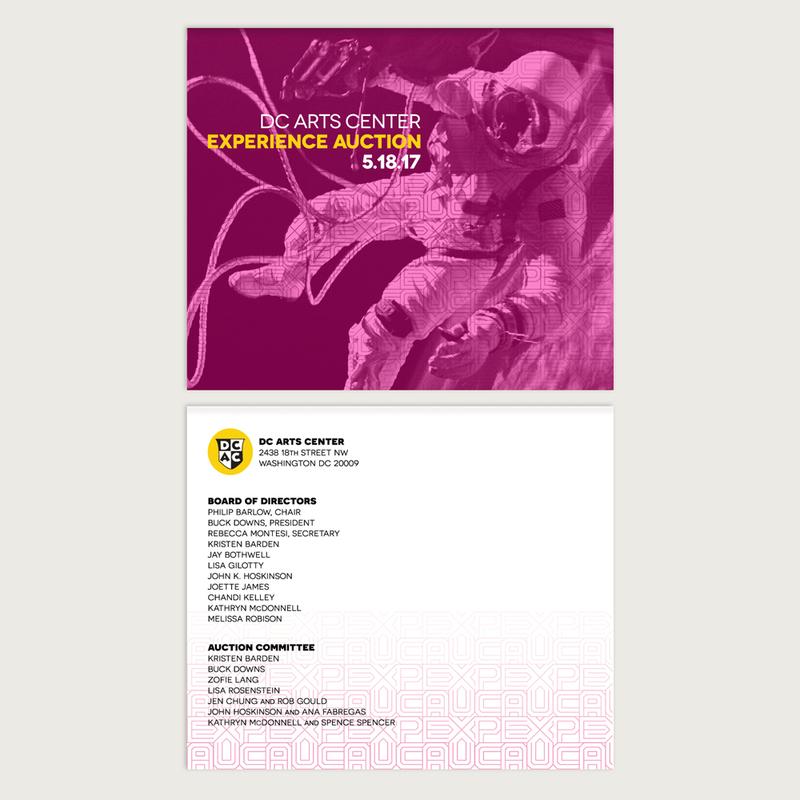 The District of Columbia Arts Center (DCAC) is a nonprofit alternative art space and black box theater in the Adams Morgan neighborhood of Washington, DC. Founded in 1989 in response to eroding support for local artists, DCAC promotes emerging and under-recognized artists and provides a forum for education and cultural exchange. DCAC is also the place where Nathan Manuel and I had our first exhibition together in 2005 — the first in a series of collaborations that would eventually grow into Dutchess & the Queen, our cooperative design studio & art consultancy. How fitting, that DCAC was our first official client as D&theQ! 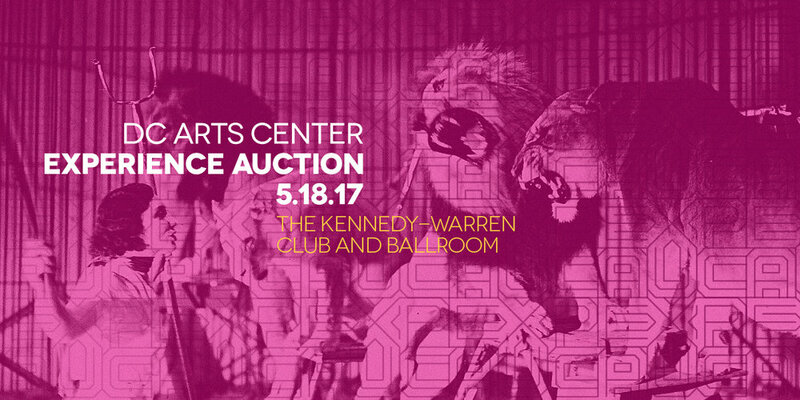 DCAC's annual Experience Auction is not your typical nonprofit fundraiser. Where most arts nonprofits merely auction off artworks or sell tickets to a singular performance, DCAC's patrons bid on creative experiences: House concerts with local bands, private tours of historical landmarks, a personal documentary film shoot, a printmaking workshop, beekeeping lessons, and bunch of other cool stuff. And so the branding for the Experience Auction needed to communicate a diversity of experiences unified by an overarching graphic identity. 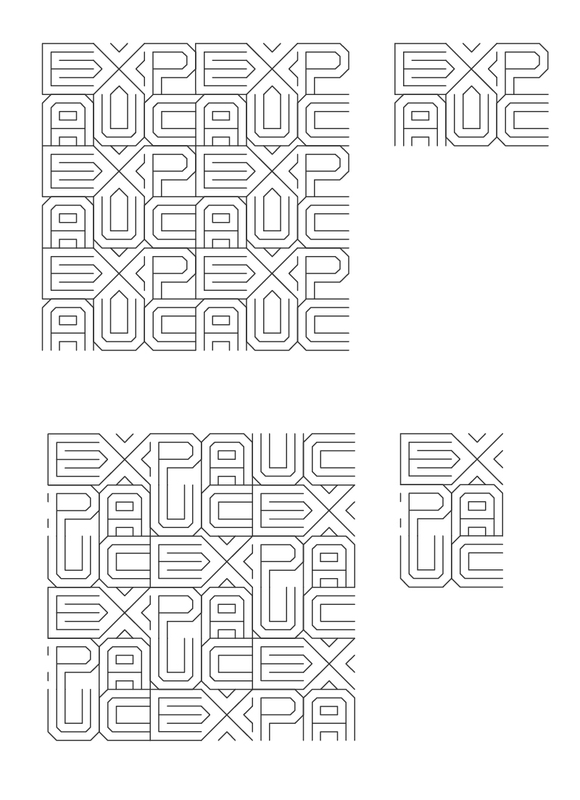 As design lead for Dutchess & the Queen, I created a logo whose angular “EXP AUC” mark could double as a repeating pattern and paired it with Novocento Sans Wide — a simple, round, geometric typeface. 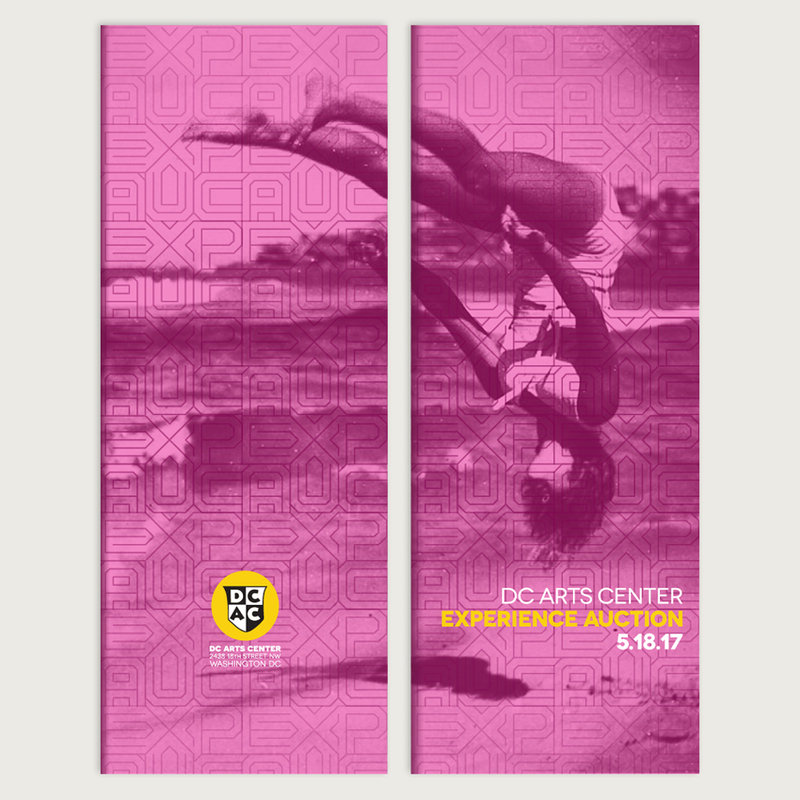 To communicate the variety inherent in the Experience Auction, I sourced a handful of royalty-free archival photographs depicting different “experiences,” which I toned with a rich magenta to compliment DCAC's existing yellow and black brand colors. 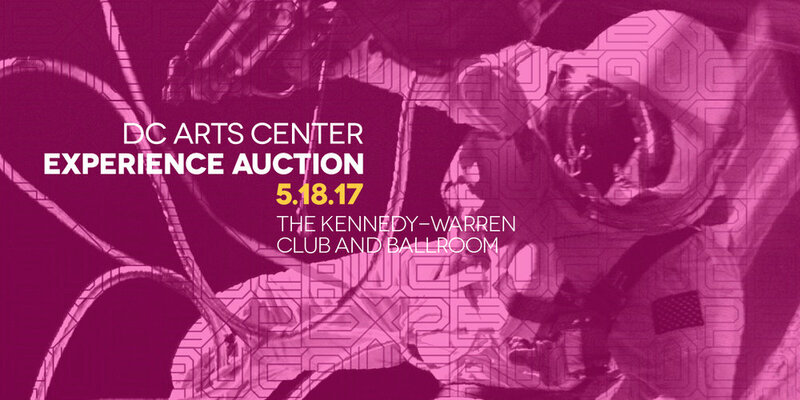 Then using these building blocks of the Experience Auction visual identity, I designed an invitation card, a program cover, and a variety of web graphics to promote the event. 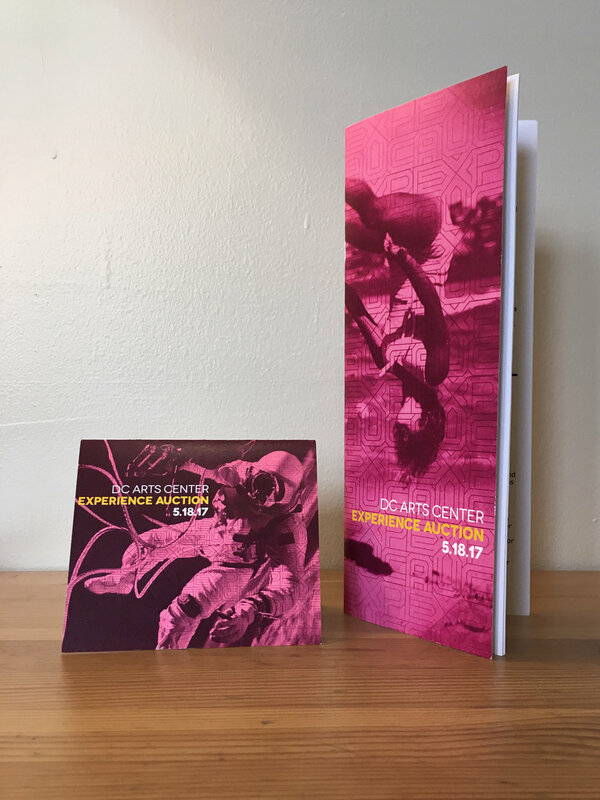 And in the spirit of economy and consistency, Dutchess & the Queen's graphic identity for the DCAC Experience Auction was designed to be re-used and adapted with new photos and color variations for future years' Auctions.